He is sired by No Double, out of a Superior daughter. 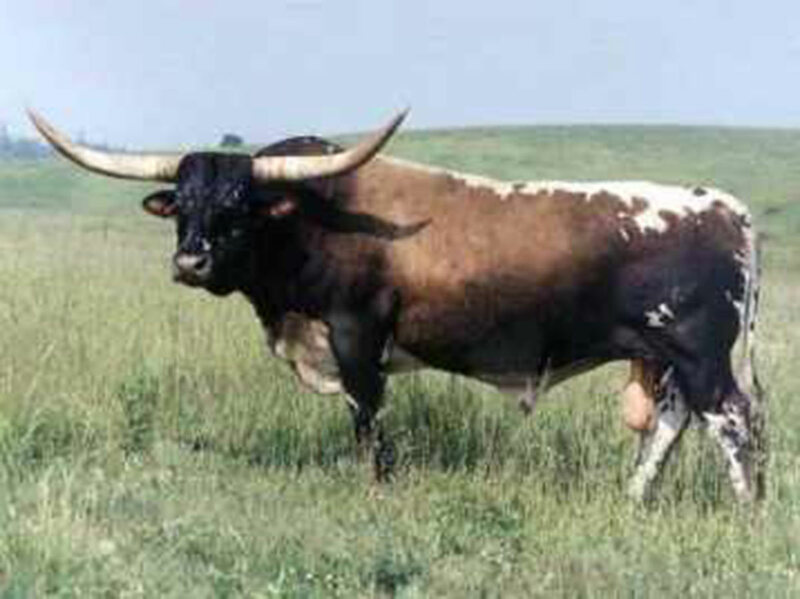 Unlimited has horn measurements of 64 5/8" tip to tip, making him one of the largest horned Butler bulls in history. Unlike many of the other Butler bulls, he is dominantly dark walnut brown & speckled in color. Many of his calves are highly colorful & possess beautiful Butler horn traits. All four of his great grand dams possessed the tight corkscrew horn twist. He has the most stacked pedigree for corkscrew horn shape of any bull in history. Unlimited is recommended as a top sire if Butler genetics are desired. Recommended for breeding to tight skinned cows that aren't solid colored for awesome results. He is a major site of lacey faces.